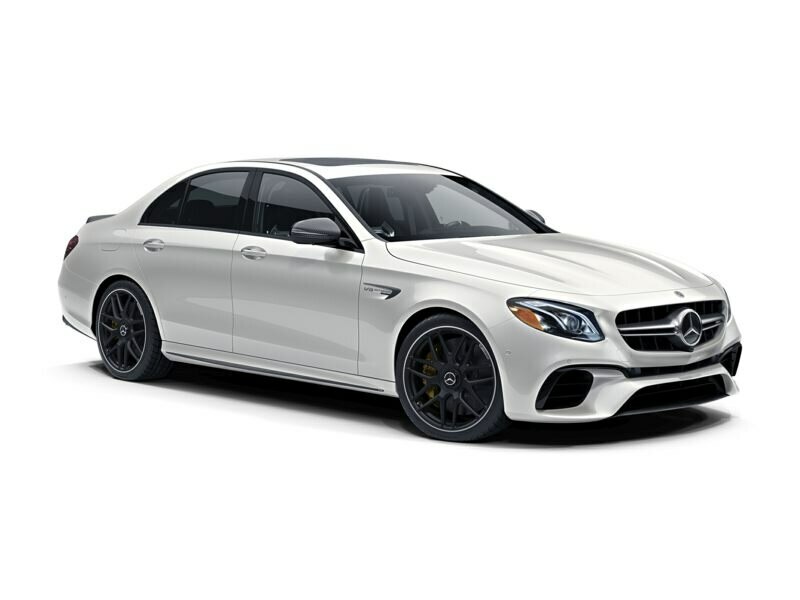 The 2019 Mercedes-Benz AMG E 63 is a 4-door, 5-seat Sedan, available in 2 trims, ranging from the AMG E 63 AWD 4MATIC Sedan to the AMG E 63 AWD 4MATIC Wagon. Upon introduction, the $106,350 AMG E 63 AWD 4MATIC Sedan is equipped with a standard 4.0L, 8-cylinder, engine that achieves 15-mpg in the city and 23-mpg on the highway. An Automatic transmission is standard. The $108,850 AMG E 63 AWD 4MATIC Wagon is equipped with a standard 4.0L, 8-cylinder, engine that achieves 16-mpg in the city and 23-mpg on the highway. An Automatic transmission is standard.